Setting up a campsite and packing it up takes us anywhere between 1 ½ hours and 2 hours. We have our own checklist of some 20 steps just for the RV only. The car and tow dolly are another set of even more time-consuming steps. Today is the day we decide to make a checklist for this process as well. Yep, another foible occurs in our RV adventures! There’s this black pin on the tow dolly. When the dolly is being towed without the car attached, the black pin locks the dolly wheels in place so that the empty tow works as a tow and the wheels stay straight. When the car is attached, however, the black pin needs to be removed so that the trailer wheels can steer. As we begin descending the steep road of the campground exit and entrance, Jeff suddenly remembers that we forgot to remove the black pin! He now has to detach the car completely from the tow dolly in order to remove the black pin. Jeff further discovers that the black pin is bent all out of shape ha, ha, and unusable! The good news is that we don’t need it to tow the car. The bad news is another car is coming up the hill and we are blocking its way. 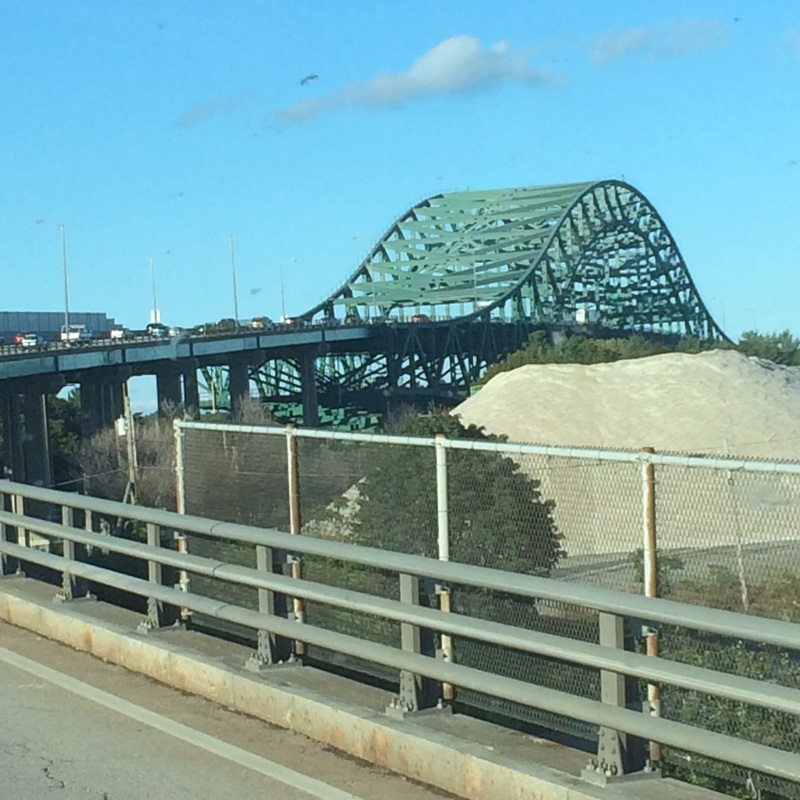 Finally, on our way, we head southeast through Vermont and New Hampshire to York Beach just within the southeast border of Maine. 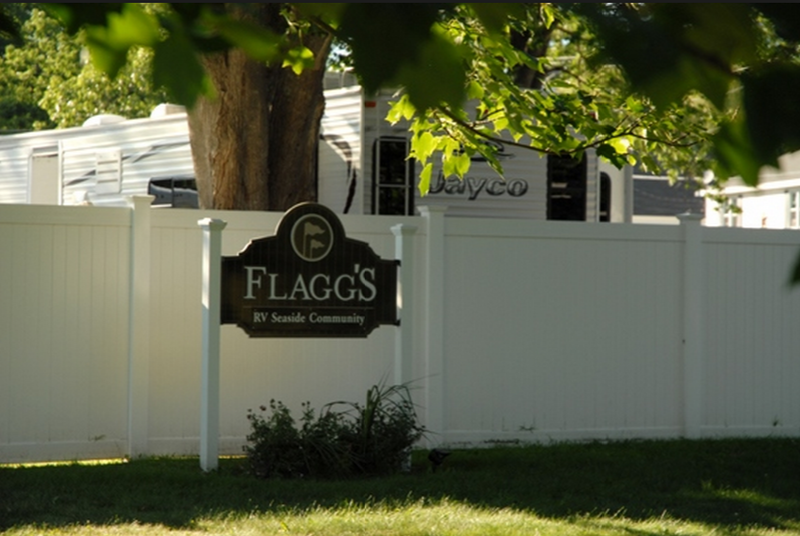 We spend the night at Flaggs Resort which we find with the help of our cell phones. The Garmin is not much help. I read some of the nasty reviews about the campground host, but I only experience a very accommodating and helpful person who actually wants to see the dogs’ vaccination records. There are a lot of rules at this campground which specializes in family summer vacations, but none of them are overly ridiculous. We plan on staying here again for a night or two when we leave Acadia National Park for Washington D.C.